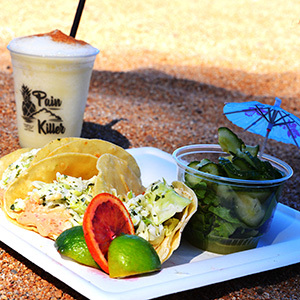 or fuel up at The Beach Grill. Yum! If you find yourself on the other side of South Lake Tahoe, be sure to visit our sister resort,Camp Richardson Resort. The Round Hill Pines Resort at Lake Tahoe is located 2.6 miles from Stateline, Nevada on Highway 50 heading northeast from South Lake Tahoe. 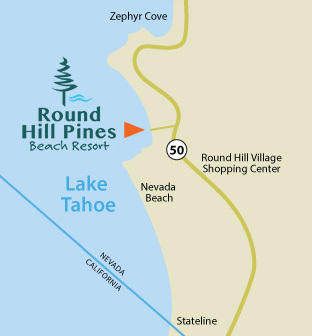 Turn left into Round Hill Pines Beach Resort approximately ½ mile before Zephyr Cove Resort. Restrictions: For your and our other day use guests safety, please do not park outside or directly inside the stone wall. We have paid parking throughout the resort and require you to park in designated areas. Boat mooring is available through our marina during the summer months. 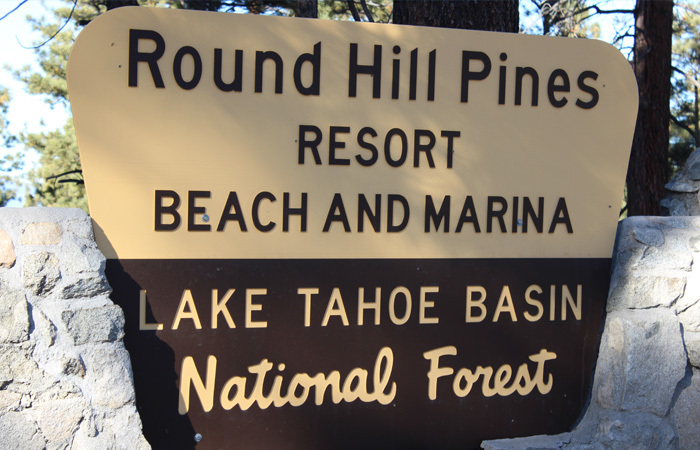 Round Hill Pines Beach Resort is operated under Special Use Permit with the U.S. Forest Service, Lake Tahoe Basin Management Unit.